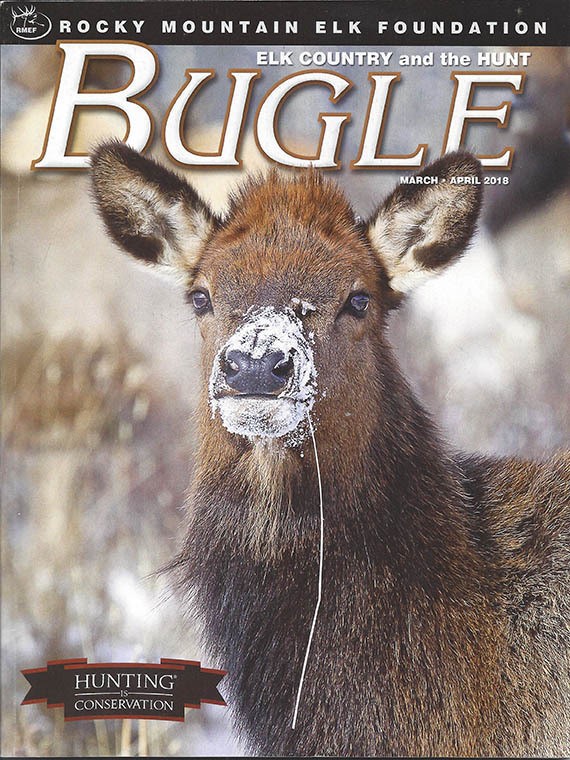 The March/April issue of Bugle magazine, from the Rocky Mountain Elk Foundation, features four stories about our scientists applying their knowledge and technology to wildlife management. "Navy EOD Blows up Widlife Biology with Big Data"- featuring PhD alum and research scientist Josh Nowak. 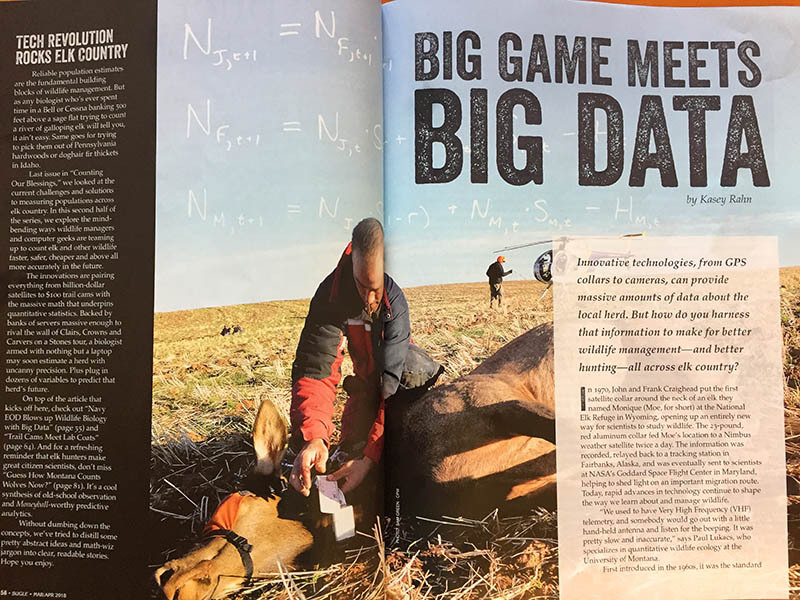 He's helped "pioneer the use of PopR, a statistical software, to help state agencies turn big game data counts into population estimates and then management strategies via mathematical modeling." "Big Game Meets Big Data" - featuring professor Paul Lukacs and Nowak and their innovative use of technology in wildlife biology. They created a "new way for biologists to harness these massive amounts of data to make for better widlife management — and better hunting — all across elk country. "Trail Cams Meet Lab Coats" - featuring our recent alums Anna Moeller on using trail cameras to estimate wildlife populations. "Guess How Montana Counts Wolves Now" - featuring leader of the Montana Cooperative Wildlife Research Unit Mike Mitchell and grad students on using Patch Occupancy Modeling to estimate wolf numbers.